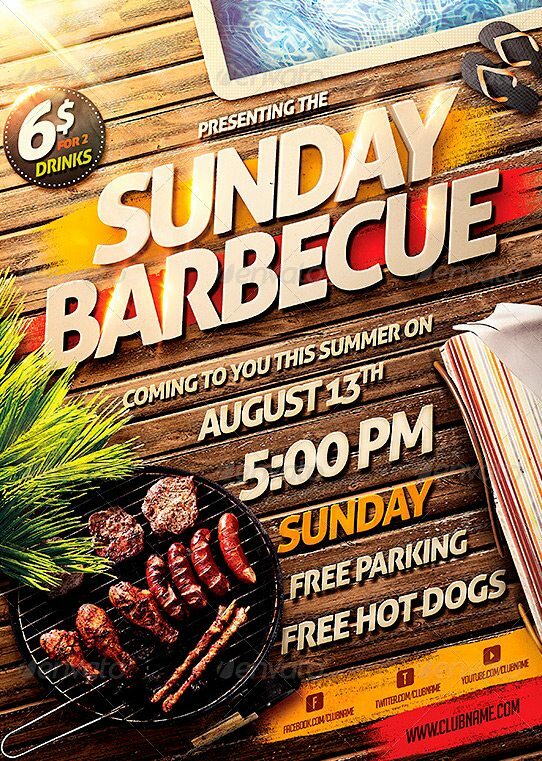 Barbecue BBQ Party Flyer Template – a fresh flyer design for your barbecue party, with great lighting effect to give that summer sun look, and an editable 3D title, with custom elements to fit this unique top view perspective. You can easily change Texts, Colors, Add/Remove objects to this layered PSD , To get new versions of the design.. What you see is what you get… all elements shown are included in the PSD.. Check out the Reggae Dancehall Flyer Template! The DJ Artist Flyer Template was designed for your next Electro DJ Music and Party Event! The Sound Night Party Free Flyer and Poster Template was designed to promote your next electro party!